NFL referee and fitness enthusiast. Became a crew chief in just his third year in the league. Worked in the Big Sky Conference and Pac-10 conferences before being hired by the NFL. As of the 2013 season, was assigned to 19 playoff games, including five conference championship games. Referee for Super Bowls XXXII and XXXVIII. Avid weightlifter and runner. Participated in 12 marathons. Practicing attorney. Concentrates his practice on professional liability defense, products defense, retail defense and transportation defense. 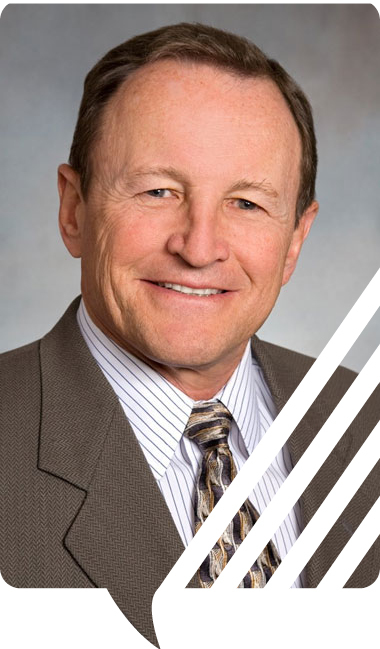 A partner with Jones, Skelton & Hochuli since it was founded in 1983, he has tried more than 150 civil jury trials to verdict. Hochuli is the subject of a website sponsored by Cafe Press that sells t-shirts, coffee mugs and other items emblazoned with, “What Would Ed Hochuli Do?” He wowed the spectators attending the NFL's first regular-season game outside the U.S. — the San Francisco-Arizona game Oct. 2, 2005, in Mexico City — when he announced a penalty in Spanish. Hochuli appeared on the cover of the Oct. 8, 2012, issue of Sports Illustrated as the magazine reported on the end of the NFL’s lockout of its officials. He and his wife, Cathie, reside in San Diego. 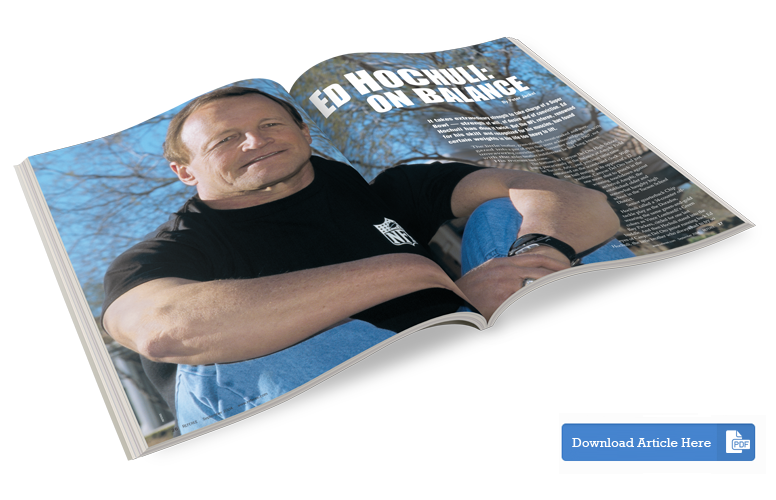 Ed Hochuli appeared in a feature article in the September 2004 issue of Referee Magazine.